In today’s age of technology, we tend to rely too heavily on our tech to take care of things. Of course, we can’t neglect the many tech tools at our disposal to connect with others. It can and SHOULD all work together to help you create and enhance relationships. But what happens when we’re only doing the things that everyone else is doing? We become just another voice in the crowd. Don’t get me wrong – I’m not suggesting that we STOP doing the things that everyone else does. I’m saying that if you REALLY want to take those relationships to the next level, you have to go above and beyond. And if you’ve been following along with the Card Everyone Project for any length of time, you know that I have a secret weapon that helps me do just that. 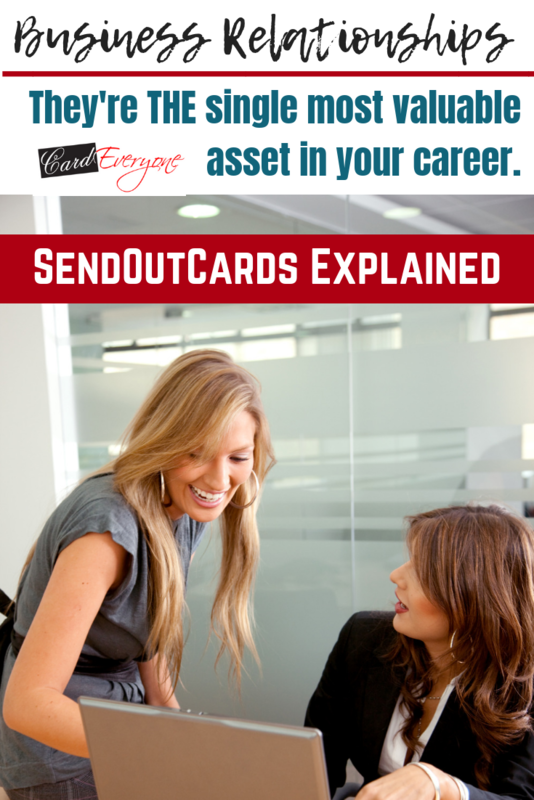 SendOutCards is by far the best relationship marketing tool in my business relationship arsenal. 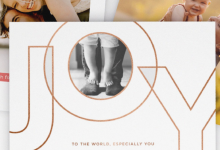 It provides a way to go above and beyond to make personal touches that matter. That stand out. That celebrate others. Now if you’re looking for a tool that will send out a mass mailing to your database that will tell them how great you are, how much you’ve accomplished, and highlight the benefits of working with you, you should move along. This is not the system for you. But if what you want is a way to really let others know that you cherish they’re presence in your life, then keep reading. This is the answer you’re looking for. 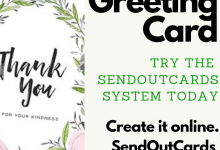 With SendOutCards, you have the ability to reach out and touch someone in a way that lets them know THEY MATTER. The responses that I’ve received since I started using SendOutCards in 2007 have been amazing. 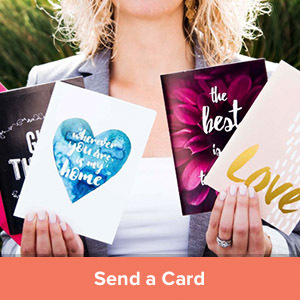 I’ve gotten calls, texts, emails, Facebook messages – all letting me know how much they loved the card or gift I sent. Some people have been teary eyed. Some have been glowing with excitement. Whatever they personally are feeling, they all had one thing in common. They KNEW they mattered to me. 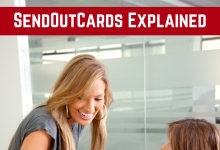 So how does SendOutCards work? It’s a question I get a lot. So my friend and mentor Jordan Adler got together for a webinar to go over the basics. 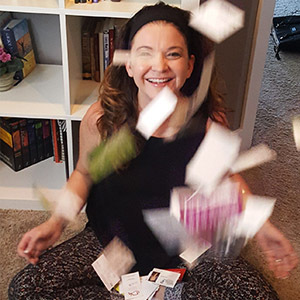 Jordan is a best selling author, top referral partner in SendOutCards, and is considered one of THE top networkers in the world. So needless to day, I was super excited that he was able to take some time with me and the people in my Card Everyone secret group on Facebook. Even better, he recorded the webinar and posted it on Youtube. So now I’m able to share it with you. Take the next 25 minutes and watch the recorded webinar with Jordan and I. 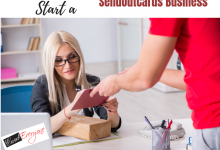 Once you’ve watched it, use this link to visit SendOutCards and send your first card for free – my treat! I’m also available to answer any questions you have. Contact me here and let’s set up a time to talk.